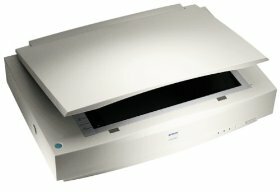 Windows 95/98/XP/Vista etc drivers can be downloaded from Epson's web site. Windows 7, 8 and later as well as later Mac drivers are available for $39.95 from http://www.hamrick.com/ Free trial version! Comes with power cable, data cable not included. Special Offer Price: £260.00 no VAT to pay!